Rory oversees all menu activity at Bridgeview Station, a real perfectionist, spending countless days refining and fine tuning our a la carte dishes. 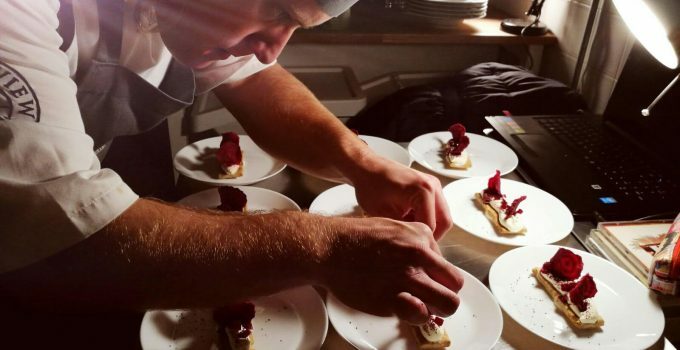 Rory comes to Bridgeview Station with a wealth of experience having worked under Tony Heath (Lets Eat) and latter Willie Dean before moving on to 2AA Opus One Restaurant in Perth we he was head chef for 3 Years maintaining the restaurants 2AA accolades. Rory’s motto is ‘think seasonal, eat scottish,’ devising plates which let the flavour of the fantastic produce he sources really shine through.